Rheumatoid arthritis is a chronic inflammatory disease that is caused by the immune system attacking joints and other tissues. It affects around 250,000 Australians. Rheumatoid arthritis can have a major impact on people’s quality of life and can also reduce their life span. Our researchers are working to increase understanding of this disease so improved and better-targeted treatment can be delivered. For more than 20 years our researchers have been advancing knowledge about rheumatoid arthritis. Their discoveries have led to current clinical trials that are testing better treatments for rheumatoid arthritis. Understand what goes wrong in the immune system to trigger and sustain inflammation. Design better ways to diagnose and treat rheumatoid arthritis. Our rheumatoid arthritis research is integrated into the institute’s broader research programs in immunology and inflammation. 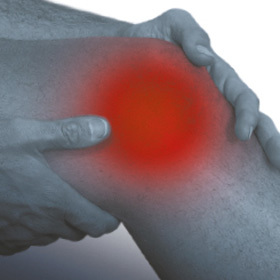 The term ‘arthritis’ means pain, stiffness and other signs of inflammation in the joints. In rheumatoid arthritis, this inflammation is caused by the immune system attacking the body’s own joint tissues. A major site of immune attack in rheumatoid arthritis is the small joints of the hands and feet, called ‘synovial joints’. Rheumatoid arthritis occurs when immune cells are activated to recognise components of these synovial joints, causing inflammation of the joint lining, known as synovitis. Synovitis causes pain, swelling, warmth and reduced function of the involved joint. Persistent joint inflammation eventually damages the joint, including cartilage, adjacent bone, and surrounding structures, such as tendons. Rheumatoid arthritis can also lead to inflammation outside of the joints. This can damage blood vessels, eyes, nerves and lungs, amongst other organs. Rheumatoid arthritis can also exacerbate cardiovascular disease and increase the risk of heart attack and stroke. Around one in 100 Australians has rheumatoid arthritis. Despite major improvements in treatments in the past 20 years, rheumatoid arthritis remains a significant cause of disability and lost personal and economic productivity in Australia. Rheumatoid arthritis can begin at any age, but most often appears in early adult life. Have relatives with rheumatoid arthritis or other autoimmune diseases. Some rheumatoid arthritis risk genes have been discovered. There is currently no cure for rheumatoid arthritis, but early diagnosis and treatment can reduce the damage to joints and other tissues, and lessen disability. Symptomatic treatments temporarily reduce joint inflammation and pain, such as painkillers (analgesics), corticosteroids and non-steroidal anti-inflammatory drugs. Unfortunately these treatments do not slow the progression of the underlying disease. Disease-modifying anti-rheumatic drugs (DMARDs) do slow the progression of disease, as well as relieving symptoms. DMARDs work by decreasing the abnormal function of the immune system that drives rheumatoid arthritis. Physiotherapy and occupational therapy are very helpful in people with rheumatoid arthritis for maintaining strength and physical activity and performing activities of daily living, including work. Psychological therapy can help negotiate the difficulties of a chronic, painful illness and the impact this has on the person and the person’s family. Maintaining physical and psychological health is vital in rheumatoid arthritis. Good working relationships between the patient, the GP and specialists are important. Rheumatologists are expert in the management of this complex condition, including the role of new therapies. GPs can coordinate care and help navigate the health system. The Australian Rheumatology Association and Arthritis Australia can provide more detailed information about managing rheumatoid arthritis.